September 19, 2018 - A wildlife photographer in Singapore captured an interspecies battle. 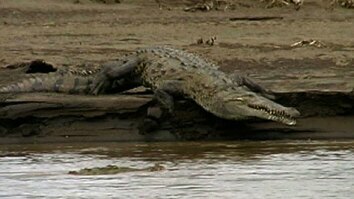 A family of smooth-coated otters confronted a crocodile with no tail. The reptile is famous in the area and the residents have given it the name “Tailless.” Otters are territorial and not averse to taking on predators bigger than themselves. 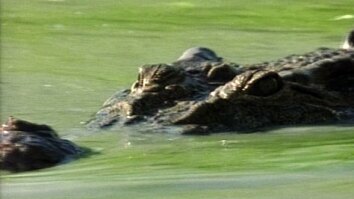 The otters successfully ran the croc out of their home range. A wildlife photographer in Singapore captured an interspecies battle. 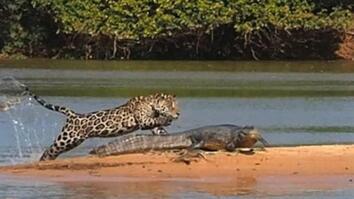 A family of smooth-coated otters confronted a crocodile with no tail. Otters are territorial and not averse to taking on predators bigger than themselves. The otters successfully ran the croc out of their home range.